All I have to say is that this week flew by! I’m in shock it’s Friday already, and a little bummed. It felt like I had all week to get things done and now it’s over. Someone please slow down summer. So one thing I’m looking forward to is going away to Vermont for a few days in June. I know I want to travel to new states, but my mom and I just loved Vermont so much last year we couldn’t wait to go back! ten annoying things about being a licensed driver by a hundred tiny wishes. I agree with most of them. One thing is that parallel parking doesn’t bother me because I’m fairly decent at it. 25 Things I’ve Learned from Blogging 5 Days a Week by Elle & Company. A list of things that every blogger will pretty much learn during their time in the blogosphere. 5 Tips for Dealing With Social Anxiety by A Grande Life. For those of us who have social anxiety, but are trying to get past it. 4 Arguments For Why You Should Write Everyday by Tipsy Writer. I agree with every single one of these arguments – especially about writing being therapeutic! 17 Before 17 by 99+ Sly Thoughts. A short explanation of a list he recently made of 17 things he wants to do before his next birthday. I’ll admit that I’ve been thinking of doing something similar to this. Also, his brother Seth posted his own 17 Before 17 post the other day. It’s fun to see what people’s goals are and encourage them to achieve them! So there’s my five favorite posts of the week and I think y’all should go and give them a look. 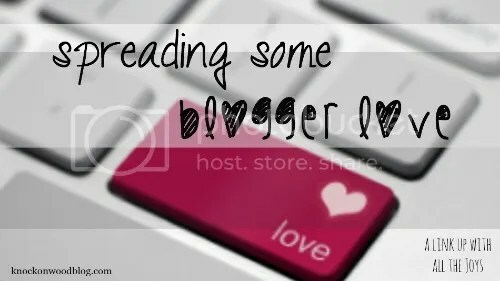 As always, don’t forget to check out the host of Blogger Love, Meagan on All The Joys and give her some blogger love as well! Of course! I’m glad you like the others as well! You have a great weekend too! 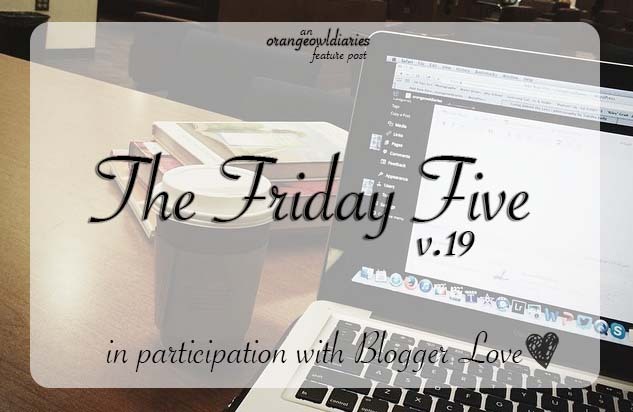 I would love to be able to blog five times a week – maybe I should check that out! Thanks for linking up – have fun in Vermont! Of course! And I will, I’m so excited to go!